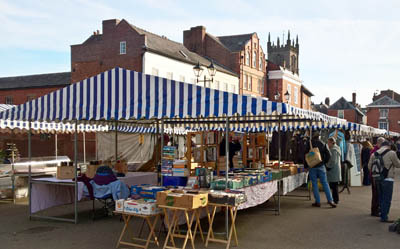 The annual Green Festival in Ludlow will be returning to Castle Square on Sunday 8th July from 10 to 4pm. The day will be brimming with lots of free family activities. This year the festival’s focus is on about raising awareness about how we need to reduce our consumption of plastic in our everyday lives. Other activities include free family ‘hands-on’ cookery workshops, featuring ‘Future Foods’ incorporating seasonal, herb and vegan alternatives; a clothes swap, bring your old stuff, take home some new stuff, give the leftovers to a good cause and have some fun while you’re at it! You may also be interested in the Green Sustainable Walk, which takes in a number of stops around Ludlow showcasing the many sustainable activities of businesses and individuals, it lasts about 90 minutes, starts at 11am from the Ludlow 21 stall – all free!